Gaining root access on an Android smartphone is one of the first things enthusiasts do when they get their device. The reason is simple: every Android device comes with restrictions (of varying severity) that limit the privileges apps can get on the operating system. Gaining root access involves finding an exploit and then using that exploit to gain system/”SuperUser” access. The Motorola DROID 4, which was released just a few days ago, is the latest smartphone to receive a root method based on an exploit discovered by Vulnfactory’s Dan Rosenberg and we’ve got a step-by-step root guide ready after the jump! There aren’t any custom ROMs available for the DROID 4 yet, but with the root publicly available, they should be on their way. Until then, you can install root-only apps like Titanium Backup, ProxyDroid, ROM Manager etc. News of the root method comes from the forums over on Android Central – a popular source of Android news. The procedure is as simple as it gets. No lengthy ADB commands or complex steps. It won’t take more than 5 minutes from start to finish. 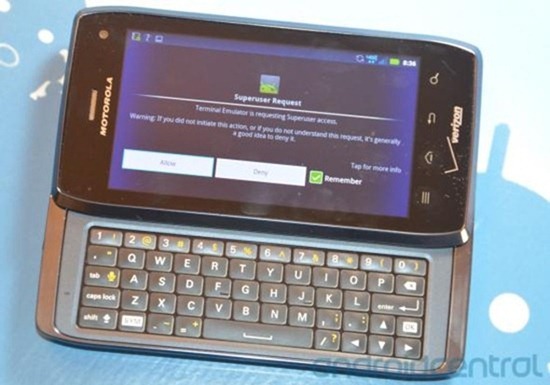 Before you start, please ensure that you have the latest Windows drivers for your Motorola DROID 4. If not, you can always get them straight from Motorola [Official Website]. This method is safe but we still recommend backing up your photos, contacts, texts etc. Step 1: On your DROID 4, tap the menu button and navigate to Settings > Applications > Development and enable USB Debugging. Step 2: Connect your DROID 4 to your Windows-powered PC using a USB cable. Step 3: Download Dan Rosenberg’s DROID 4 exploit [Official Website]. Extract the .zip file using a suitable software like 7-zip. Step 4: Launch run.bat and let the tool work its magic. 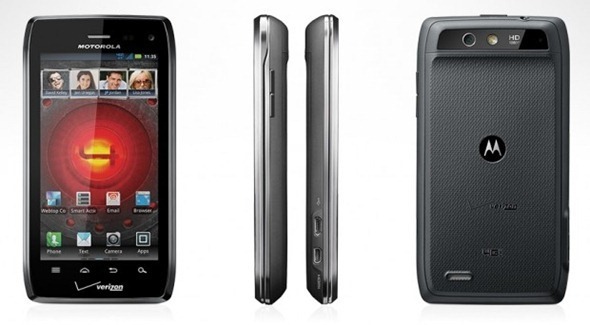 If you followed the steps correctly, your Motorola DROID 4 will now be rooted on Android 2.3.5 Gingerbread. Your device will reboot multiple times during the rooting procedure, so don’t get scared or anything. To confirm that you have achieved root, look for Superuser app in your device’s app drawer. If you have any queries, check out this thread over on Android Central forums.